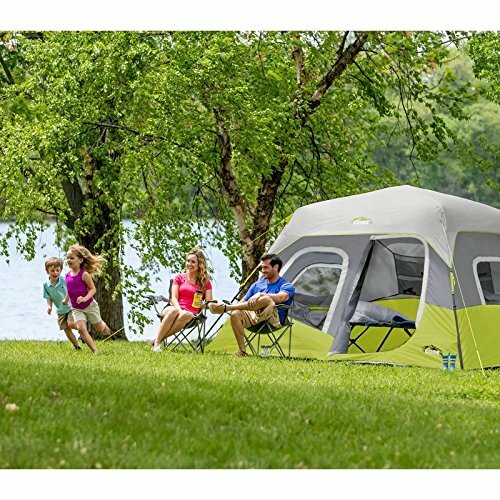 Core® strives to make camping more comfortable and less complicated. 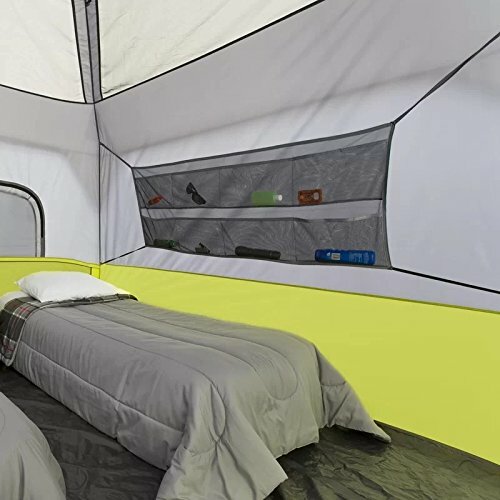 With its simple, time- saving setup, our 6 Person Instant Cabin is no exception. 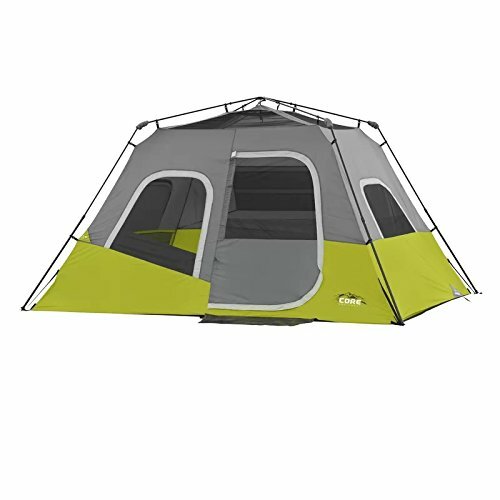 To setup camp, remove the contents from the carry bag and lay the tent flat on the ground. 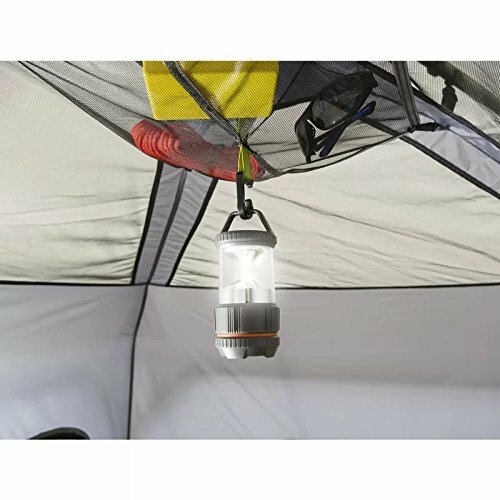 You will notice that all of the poles you need are attached to the tent and connected by a hub on the ceiling. Starting on one side, pull each leg pole upwards until the elbow joints flex. Next, extend the telescoping poles until the locking buttons engage and repeat for the opposite side. Setup complete! 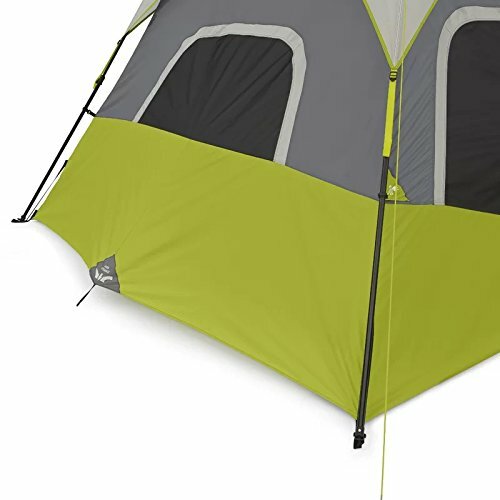 Stabilize your tent by pushing steaks through the ground loops at a 45 degree angle. 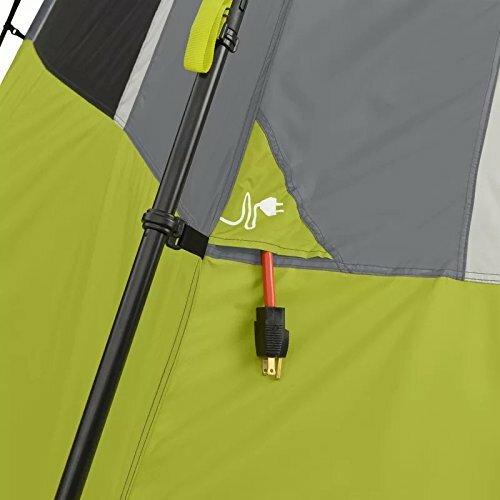 For full rain protection, drape the water resistant rainfly over your tent and clip to the leg poles between the locking button and pole connector. Guy out the tent and tighten the slack adjustor for windy conditions. Next install the gear loft and bring your gear in through the large D-door. 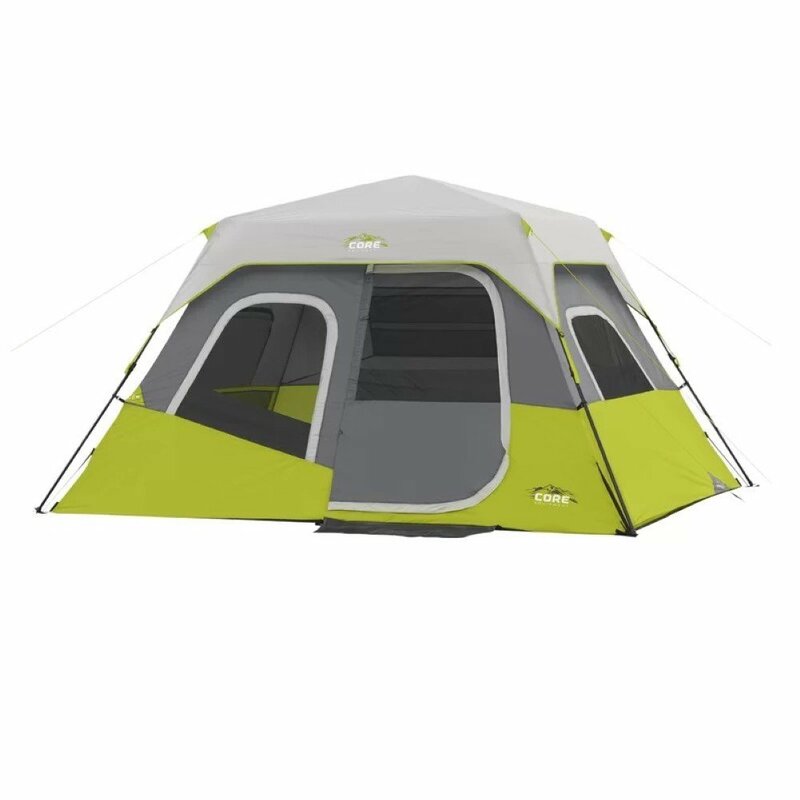 Core Instant Tents give you time to set back, relax, and Outdoor More. 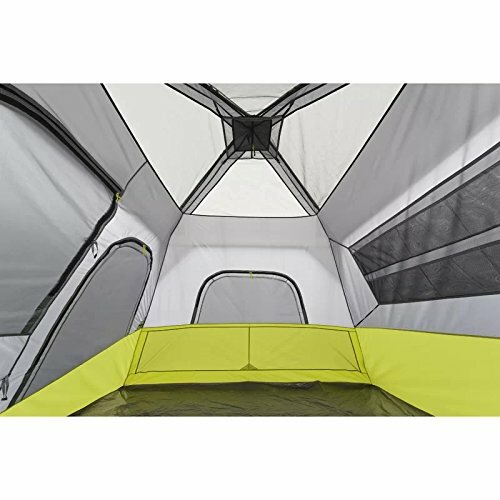 This Core® Equipment 6 Person Instant Cabin Tent is super fast to set up. 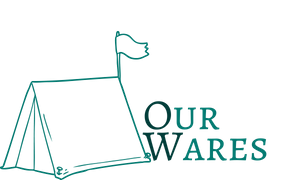 Many reviewers say it sets up in less than 10 minutes... by ONE person! Spacious design.